Friends, if you bought Cultivating a Life for God, and then Search & Rescue, you will notice that some of the two books have the same basic message. Search & Rescue is an update on the original, but also written with a different audience in mind. When I wrote Cultivating I was writing for Pastors, missionaries and church planters. When I wrote Search & Rescue I was writing for ordinary folk in the church that need to be inspired to do something courageous for Jesus---make disciples. There is, however, new material in Search and Rescue and every chapter is mostly new, so we continue to have both books in print. I personally believe that the chapter on motivations of a disciple in Search & Rescue alone is worth buying the book even if you already read Cultivating a Life for God. Now Ordinary Hero is about to be released. I want you all to know that this book is Search & Rescue being released as a paperback under a new title. It is not a new book. I originally wanted the Ordinary Hero title, but Baker decided to go with Search & Rescue with the first release. Now they are trying out the original title I suggested. But one thing bothers me: it does not mention on the front cover that this is a re-release of Search & Rescue. For that reason, I am putting this out to the blog world so that you don't buy the same book twice. If you read Cultivating, then Search & Rescue and then bought Ordinary Hero, I am afraid you will think I am trying to sell the same book over and over again. I am not. I think you will find that the new title fits the content of the book better. 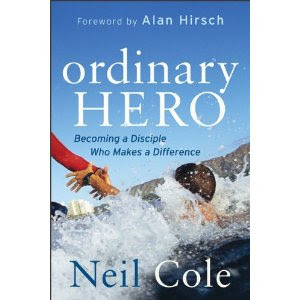 Ordinary Hero is a great book to get for family or friends that want to be inspired to live more heroically for Jesus. If you have read Search and Rescue, however, there is no need to get Ordinary Hero. If you have never read any of my books, Ordinary Hero is a great one to start with. All of us who have fulfilled the role of teacher are aware that we learn so much more by teaching than we ever did by being taught. In fact, one of the most frustrating realities of teaching is that you are not able to convey to the people all that you have been able to learn studying for the process. There is good reason for this. It is God's design for teachers to teach people to become teachers, for then they will learn the truths of God's word on much deeper levels. The people learn the truth on a far deeper level. The people understand the truth, not just remember it. The people are held to greater accountability to practice the truth they learned. The people own the message, not just know it. The people spread the core message to others, who in turn learn to own it and spread it themselves and the kingdom multiplies into a movement. When you take a test you reveal what you remember from someone's teaching. When you practice what you have heard you demonstrate that your will is involved in the learning process and you are learning beyond a cognitive level. When you start to teach the subject to others you engage the lessons on a far deeper level and you have to reconcile the logic behind the facts, and not just remember the facts themselves. When you pass on the lessons to others you demonstrate a greater level of ownership. Isn't that what we want? We do not want people who know facts about the Gospel, but apply them and then own them in the depth of their soul. We do not want only an audience, or even practitioners...we want agents of the Gospel. Change is not enough, we want change agents. We have developed a learning system for systematic theology based upon this type of thinking. It is a one year learning process for proven leaders where they learn theology in a small community by teaching it in a highly reproducible manner. It is called TruthQuest and is available on our website. TruthQuest will not teach you what to think but how to think. The participants may not come out thinking the same as you, but they will come out able to think for themselves. I for one value that even more than simply agreeing with me. I just returned from a wonderful trip to France. Doesn't that sound romantic and adventurous? Well, it wasn't so much that, but it was good for my soul in a different sort of way. First of all, it was for meetings with my peers and my denomination so I had to pay my own way and of course there was no honorarium. God provides. I stayed in a room with lots of noise from my roomates. All night mosquitoes were buzzing in my ears and biting any exposed skin. My bed was broken and sagging in the middle. One night U2 songs started blaring at 4:00 AM (at least it was a good selection of music). I have a stock of upgrades good for anywhere in the world in my United frequent flier account, but I didn't pay enough for my tickets to qualify to use them. Hmm? Airlines can be strange in the way they promise gifts that are not really gifts. I willingly sat in economy feeling that I do not want to become some spoiled traveler. As the trip progressed, the Lord made sure of that. The trip home was long (24hrs) and uncomfortable. There was no audio in my seat entertainment system so I couldn't watch any of the movies. The batteries in my computer were depleted from usage on the train ride from Lyon to Paris. The passenger next to me consumed both arm rests, but that wasn't really enough for her, so her elbow was in my side for the most of the 9 hour flight. I was leaning into the aisle for air which meant being jarred awake occasionally by passengers, flight attendants and a service cart or two. In Chicago I was bumped from my last leg and sat in O'hare airport for four additional hours. For all this discomfort I came home with $650 in vouchers for other flights (like I said, God provides). Isn't it strange that the reward for discomfort is to have the advantage of getting more...for free? I guess that's better than paying for it. The airline industry is really something else these days. They are masters at giving us less for a higher cost and convincing us that we are getting a deal. Actually, I am glad for the trip for many reasons. Our meetings were in an old French Castle in wine country known as the Chateau de St. Albain. This is a special place in my own denomination's history, and it holds some important memories in my own life as well. I have had some of the most dramatic spiritual experiences in my life here on this property. By God's sovereign hand two groups were at the same retreat site at the same time and in both groups were important mentors and life long friends. It was almost rediculous to consider such a "coincidence". Linus Morris, the founder of Christian Associates International was there with the other group. I went to High School with his daughter, Laina, and the two of them are the first people to ever share the gospel with me. Obviously it stuck. Phil Graf, an old buddy and now husband to Laina was also there. Dave DeVries, whom I have known for almost 20 years was also there with the other group. In the group I was with Tom Julien was there who is a spiritual father to me in many ways. Tom first purchased this property 45 or so years ago and used it as a sort of L'Abri similar to Francis Schaeffer. Tom is an important mentor in my life and helped me discover what we refer to as the DNA (Divine Truth, Nurturing Relationships and Apostolic Mission) of church. 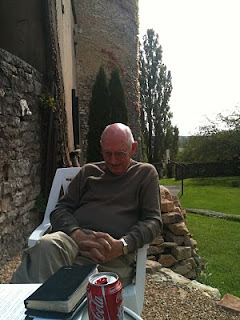 He mentioned that this trip could be his last to the Chateau, but in my heart I do not believe it true. Either, way, this was an important trip for him and for the rest of us who were with him. Some brothers that I rarely see but have deeply spiritual experiences with were also in the group I was meeting with. When I consider all of this I realize I would pay much more for such an opportunity. Our discussions were rich with profound implications, which is usually not the case with denominational meetings. Church planting leaders from my denomination scattered all over the globe came together to discuss the releasing of the apostolic gift in missional church movements around the world. Wow, just that I could say that sentence is a miracle worthy of note! 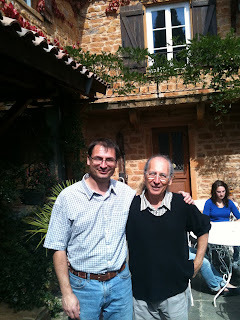 From the Chateau I went to stay with my good friend Florent Varak in Lyon and share some teaching at his church there. Before the training time, however, I had the unique priviledge of sharing a lunch with his mother and father at their beautiful french home. After the delicious meal Florent and I had a remarkable discussion with his father, a spiritual seeker. I had strange feelings in this home, as if it was a French version of my own home. Beautiful artwork was all over and the home reminded me of my own childhood home, though it was larger and better kept. I felt a strong feeling of love for Florent's father and consequently I feel an even stronger kinship with Florent. Florent's two daughters and Lorie his wife were also with us and their affectionate banter really reminded me of my own two daughters and Dana. Their brother was away (at school) and my girls brother is also away (at Discipleship Training School with YWAM). The travel was not easy, but the time was definitely worth it. So I am not complaining. When I realized that the apostle Paul's travels were far longer, far more uncomfortable and occasionally quite wet (shipwrecked 4xs) I understood that the discomfort in this travel was like traveling in luxury. Sometimes we just need a heavy dose of reality to sober us up and show us that we should not be spoiled divas. Entitlement settles in our souls with such subtlety. God's grace is sometimes a splash of cold water in the face and I am grateful for it. It is also served at times with a delicious meal and meaty discussion in a beautiful home in the French countryside. Getting the message right is only a quarter of the task for the teacher. Communicating the message so that others understand the content only brings the teacher to half of his or her role. Seeing the content applied well in the listener's context is another 25% of the task of the teacher, but still only brings the teacher to 75% fulfillment of the task. 75% on an exam is barely passing, and certainly not a success. Releasing the learners to fulfill the task of the teacher themselves with other people is the only way a teacher can fulfill one hundred percent of the call of the teacher. It is also the only way to see the role of the teacher a catalyst for multiplication rather than a bottleneck for it. When you are starting to pass the content on to others is when you have learned the content on its fullest level. To teach others best you must see the process through until the learners become the teachers. I used to think that a great teaching gift was actually a bottleneck to multiplication. When a truly gifted thinker and communicator is at work people want to stay and listen to them and rarely feel that they can do it themselves...and reproduction ends. At one point in my own ministry I was tempted to dumb down my teaching for the sake of reproduction of ministry, but that is tantamount to being ungrateful for Christ's gifts and neglectful stewardship of His blessings. So how do we allow for great teachers and still have reproduction? The gifted teacher is called to equip the saints for the work of ministry, not to do it for them. A true teacher is not simply to teach the saints, but to equip the saints to teach. Are all saints to teach? Yes, they are to teach disciples to obey all that Jesus has commanded them. We need teachers, but we need teachers that will truly fulfill their complete call. We should not settle for teachers that only go half way any longer. If you are a teacher do not be content to fulfill only a portion of your task. We need to redefine what it means to teach. It is not simply passing on content to others. I prefer to see teaching this way: facilitating the leaning of others so that they know, do and pass on to others the relevant and meaningful truth. We in the Western church are educated beyond our obedience and more education is not the solution, we need more obedience. A couple of suggestions for the teachers out there: never teach a second lesson until the first one is done. A lesson is not done until it is being passed on to another. What would the kingdom of God look like if we had more teachers like this? When I approached Neil Cole and Frank Viola about the possibility of hosting this interview on my blog, they were both in agreement about one thing: This is not a debate. It's a dialog between two brothers who see different sides of the same coin. As you may know, both Neil and Frank are seen as thought leaders in the area of organic church. However, the very term itself isn't always very clear. Sometimes we need to stop and define our terms before we engage in a dialog so that everyone understands what we're actually talking about. That's the purpose of this interview between Frank and Neil. We hope to engage in an encouraging dialog concerning the Church. I'm blessed to know both Neil (who wrote the forward to my book, "The Gospel: For Here Or To Go?") and Frank (who has been kind enough to correspond with me on occasion). So, as I began to see that both were attempting to talk about Organic Church in different ways, I thought it would be helpful to everyone if we could hear their perspective on certain terms and clear things up a little for everyone. Since this isn't a debate, we're not seeking to declare a winner. Hopefully you will learn something from both participants engaged in this dialog. Comments are welcome, but they will be moderated. Both Neil and Frank have agreed to respond to questions in the comments section as much as they can. As simply as you can, define what "Church" looks like to you in practical terms. (Looking for an example of how an "Organic Church" would function - how a typical meeting might look - in your version of "Organic" church). What is your definition of "Organic Church"? Neil: Many scholars attempt to describe church with a list of ingredients that they believe are found in the New Testament. Here is a typical list: a group of believers that gather together regularly and believe themselves to be a church. They have qualified elders and practice baptism, communion and church discipline and agree on a doctrinal foundation and have some sort of missional purpose. I have no problem with these ingredients being a part of church, though not all of them are indeed biblical (no where in the NT does it say that we have to consider ourselves a church to be a church—that is a cultural reaction to calling bible studies or parachurch organizations churches. There are also NT churches that have not had elders appointed yet on the first missionary journey—Acts 14:21-25). I believe that this understanding of church is missing the most essential ingredient: Jesus! If we can define church without Jesus than we can do church without Jesus and that is a tragedy at best and treason at worst. In CMA, we have defined church this way: The presence of Jesus among His people, called out as a spiritual family to pursue His mission on this planet. Church begins and ends with Jesus among us. All the typical ingredients listed to describe church were in the upper room in Acts chapter one but the church really began in Acts chapter two when only one other important ingredient was added: the Spirit of God showed up! God among us is what makes us any different from the Elks Club. For us church functions like a family, and family is not just for an hour and a half one day a week. We eat together and live together. We do get together, but not only for serious meetings. We meet up during the week for coffee or a meal and hold each other accountable to following Jesus in Life Transformation Groups. My spiritual family often get together to reach out to others, at cafes or with release time outreach at elementary schools and in the marketplace where we all work. We also go to the movies or on hikes together during the week. Church is not an event, a place or an organization; it is a family on mission together. We must emphasize this shift in understanding. As such we are not defined by a meeting, though we do meet. When we meet we do not have a routine that must always be done. But for the sake of helping people get a feel for the ebb and flow of our lives I will try to describe what our time is usually like when we do get together. When we do have meetings, we do not presume to have an agenda, but to gather, listen to God and one another. We worship, sometimes with music. About half of the songs we have are original songs written by people in our movement. In our meetings we do not have a set list of songs that are rehearsed, but rather we sing the songs that He puts on people’s hearts as the Spirit leads. We sing until we feel like we have changed our perspective of things from having been in His presence. We may then keep singing if that is what He leads us to do, but often we share next what is going on in our lives. A word from the Lord or a sin to confess? We all share what God is saying and doing in our lives and we all pray for what is happening. This could be all we do for the entire evening as well. We usually open the Bible, read a passage and discuss it. Right now we are going chapter-by-chapter through Acts but this is not routine and we often turn to something else at the leading of the Spirit. We do not have any preparation for this time, as we are not the ones in charge, Jesus is. Our time in the word, however, is not simply pooling ignorance because of the following reasons: 1. We are all listening to the Head of the church and He is not ignorant, and 2. Because of Life Transformation Groups, most of us are all reading large volumes of scripture throughout the week repetitively and in context, so our observations in the scriptures are actually quite insightful. The Spirit of the Lord working in each of us is the teacher, and we are all learners. When a good question arises or even some false teaching, a leader of the group does not usually step forward and decide the issue for everyone. Rather, we pray and ask the Lord to help us out. Then we ask what insight the Spirit may have given to each of us. The body responds, not the pastor. This empowers everyone to react to false teaching or to find solutions to difficult questions, not just then but anytime. We are also quite comfortable with three little words: I don’t know. We usually pray and sing and eat until it is time to head home. We may also watch the Lakers play a game or go to a movie. Hope that helps some. As you can see we are not set on a routine and do not have a formal agenda, though we do have some consistent but very flexible patterns. Oh, and we do not have an offering that is passed in my own church. Some of the churches in CMA do, but we do not have that as a set responsibility of church. What we do have is generous people of God who give, not just money but property hospitality and time, to those who are in need. Frank: I’m of the opinion that the New Testament only knows one kind of church, and it’s organic. The ekklesia is a living organism not an institutional organization. I’ve been using the word "organic church" or "organic expression of the church" for over 16 years. And I give credit to T. Austin-Sparks for the phrase. For Sparks and I, an organic church is a group of Jesus followers who are discovering how to live by Divine life together and who are expressing that life in a corporate way. Jesus said "as the living Father has sent me, and I live by the Father, so he who partakes of me shall live by me." Paul echoed these words in Colossians when he said that the mystery of the ages is "Christ in you," and that "Christ is our life" (see also Gal. 2:20; Rom. 8:9-17). Consequently, when God's people learn how to live by the indwelling life of Christ together, a certain expression of community life naturally emerges. So for me, the word "organic" has to do with life – God's life. The organic expression of the church comes up from the soil; it's not mechanical. While it has organization (or an expression) – as all living organisms do – the organization (or expression) comes about naturally from the life, not through human manipulation, religious ritual, or legalism. (1 John 1:1-3; John 17:20-24). I left the institutional church 22 years ago and have gathered with numerous organic expressions of the church (completely outside the religious institutional system) ever since. I’ve seen a lot during those years – experimented with a lot, experienced some of the high glories of body life, the difficulties and struggles, and have made lots of mistakes as well. I'm still learning and discovering. *The members meet often, not out of guilt or obligation, but because the Spirit draws them together naturally to fellowship, share, and express their Lord (ekklesia literally means an assembly or meeting). *Jesus Christ is their living, breathing Head. The members make Christ profoundly central, preeminent, and they pursue and explore His fullness together. In short, the church is intoxicated with the Lord Jesus. *They take care of each other, have open-participatory meetings where every member functions, make decisions together, and follow the Spirit's leading for outreach and inreach, both in their proper season. *They are learning how to live by Christ and express Him corporately in endless variety and creativity to both the lost and the found. *The condemnation and guilt is gone. The members experience the liberty and freedom that is in Christ, experience and express His unfailing love, and are free to follow Him out of genuine love rather than guilt, duty, obligation, condemnation, shame and guilt – the typical "tools" that are used to motivate God's people. *After the foundation of the church is laid, it is able to meet on its own without a clergy or human headship that controls or directs it. The church can sustain herself by the functioning of every member; it doesn't need a clergy system for direction or ministry. These features are contained within the spiritual DNA of the ekklesia no matter where or when she is born. For they are the attributes of God Himself, the source and headwaters of body life. Regarding your question about what an organic church meeting looks like, that’s really impossible to answer. The reason: authentic organic churches have an infinite way of expressing Christ in their gatherings. Perhaps the best I can do is describe a few meetings that one of the organic churches that my co-workers and I are presently working with have had recently. None of these descriptions will do the gatherings justice, but perhaps they may give some impression of what a good meeting looks like (not all meetings are good by the way – some are unmentionable! 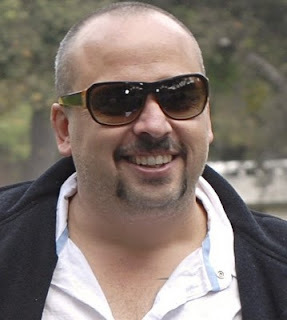 :) ). Last month, the church had a meeting that it prepared for over the course of a month. The church broke up into groups of 3 and began to pursue the Lord Jesus outside of the meetings during the week. The members all came together at a scheduled day and time to worship, exalt, and reveal Christ. The theme of the meeting was Jesus Christ as the Land of Canaan. The meeting included a full banquet feast, which was really the Lord’s Supper (first-century style). The church feasted and then each group began to share Christ as the Land. One group shared how the vine and the fruit of the vine were a shadow of Jesus. Another group shared Christ as the olive oil; another shared Christ as the milk and honey. Another shared Him as the wheat. Sprinkled throughout the sharing – which was incredibly rich – were prayers, declarations, songs, all of which were spontaneous. This meeting went on for over 3 hours. It was a gully-washer. No human being led or facilitated the meeting. There were also elaborate creations and visual displays in the meeting place made by the church that went along with the theme. I didn't attend this particular meeting, but the reports I heard were amazing. People were profoundly touched. Visitors who came were blown out of the water. They had never seen a group of Christians put Christ on display like that, and without anyone leading, giving cues, or facilitating. The depth of insight, richness, and reality of Christ coming through the believers was without peer. Jesus Christ was revealed, declared, unveiled, glorified, and made visible by the every-member functioning of His body. On another occasion, each member of the church took a name of the Lord in Scripture. (e.g., Bread of Life, Lion of Judah, Sweet Rose of Sharon, the Great Shepherd, Alpha and Omega, The Branch, etc.). During the week the members sought the Lord concerning the name they selected and came to share Him together in the gathering. The meeting was electric. Christ was revealed in a multitude of different ways. New light was shed on each of His names, all pointing to His glorious Person. Another meeting was a rather unique way of expressing the Lord through Colossians. The church had immersed herself in the book of Colossians for four months (in some very creative ways). They then planned a meeting where they reconstructed the Colossian church. Each member acted out a character from the Colossian church. Some created their own names (some names were quite comical). Others played the part of some of the Colossians mentioned in the New Testament (Philemon, Apphia, Archippus, etc.) For weeks the church broke up into pairs to plan and prepare for the gathering. They then had an entire meeting where they reconstructed the situation in Colosse. If you had walked into that meeting, you were seeing the Colossian church dramatized. People even dressed up for their parts. At the end of the meeting, someone who played Tychicus came into the gathering with a letter from Paul and read the whole letter to the church. Incredible light was shed on the letter, as it addressed all the problems that the Colossian church (through drama) was shown to have had. We all awed at the Lord as Paul presented Christ in this magnificent epistle. Again, these meetings have no leaders present directing, facilitating, or coordinating. The Spirit takes that job. I'll add that I've seen unbelievers visit these sorts of meetings where no one said a word about "being saved," and the unbeliever would fall to their knees and profess that "God is here, and I want to know Him!" Strikingly, this comes straight out of the New Testament (see 1 Corinthians 14). Thus the normative passivity that flows through the bloodstream of the typical pew-sitting Christian has been drained out of them. Instead, they’ve been captured by a vision and an ongoing experience with the Lord Jesus that has dramatically affected them. I’ve been changed by the experience. Yet what impresses me just as much or more than the meetings is the remarkable way the believers take care of one another in organic church life. But that’s another story. Frank: I’m really not sure as Neil and I have never discussed this. But my impression is that the term "organic church" for Neil boils down to rapid multiplication of Christian groups with the goal of trying to win lost people by going to the places where they spend their time. It also includes a method of discipleship in very small groups which includes Bible reading and personal accountability questions. This may or may not be accurate, but it’s my impression. Neil and I have shared the conference platform on two occasions, and from hearing him speak, it seems to me that the major difference is one of emphasis. I also think he may emphasize the church scattered where I tend to emphasize the church gathered. But in my world, the church gathered is nothing like an institutional church "service." For us, the gathering of the ekklesia is related to God’s highest intention, i.e., His eternal purpose. God has had an "eternal purpose" that’s been beating in His heart from the beginning of time, long before humans fell. That purpose is what provoked Him to create, and He’s never let go of it. The eternal purpose of God isn’t the salvation of humans or to make the world a better place. (Remember, the Fall hadn’t occurred when He created.) There was something else He had in His heart before He said "let there be." That purpose has to do with obtaining a bride, a house, a body, and a family, all of which are by Him, through Him, and to Him. The purpose of God is not centered on the needs of humanity, but rather, to meet a desire in God Himself. So God’s end is to have a bride, a house, a body, and a family in every city on the planet. The ekklesia – properly conceived and functioning – indeed benefits humanity and blesses the world that God made; but His goal for her is higher than that. Having Christ formed in us is an important aspect of God’s purpose (Rom. 8:28-29; Ga. 4:19). But for us, we don’t use any of the typical discipleship methods to accomplish this. Instead, we have learned how to encounter the Lord Jesus in Scripture together, to seek His face, to fellowship with Him, to be in His presence, and to share and express Him to one another. This typically happens in groups of two and three during the week (sometimes in the early mornings), but also in the corporate gatherings. I call these groups "pursuit teams" – teams that pursue the Lord. The focus is not on us but on Christ. Paul said that we are transformed by "turning to the Lord" and "beholding His glory" – so that’s a large part of our church life experience (2 Cor. 3:16-18). In short, we experience together – in pursuit teams and as a church – perceiving and following the Lord’s indwelling life, allowing God to shape us by it. That, to my mind, is what spiritual formation/transformation is all about. Watchman Nee once pointed out that when the Lord called people to His work, their God-given ministries were often prefigured by their secular occupations. For instance, when the Lord called Peter, he was casting his net and bringing fish onto the shore. What was true in the natural ended up being true in the spiritual. Peter's ministry centered on fishing for men. His emphasis was evangelism, and he brought many lost people to Christ (just think of Pentecost in Acts 2). When the Lord apprehended Paul, he was building tents. And his future ministry reflected this. Paul was more of a spiritual builder, a "master builder" as he put it in 1 Corinthians 3. His emphasis was to build the church into the fullness of Christ. So Paul spent most of his time grounding and enriching the believing communities to gather under the Headship of Christ, establishing them deeply into Christ, unveiling to them God's eternal purpose – or "the whole counsel of God" as he once put it. When the Lord apprehended John, he was mending a torn net. 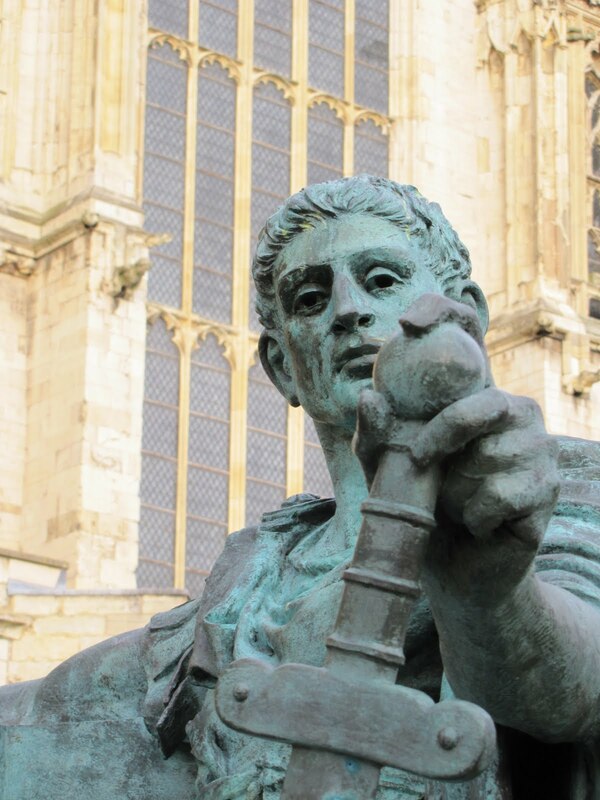 We see in John’s later writings (1 John, 2 John, and 3 John) that he is bringing the church back to center . . . back to first things . . . back to "the beginning" of Christ as life, love, and light in a time when these elements had been lost. The tent that Paul built was falling apart during John’s day, so John prophetically began to repair it by restoring God's original thought, bringing His eternal purpose back into view. So Peter casts the net, Paul builds the tent, and John mends the tent. All three men were Christian workers in the Lord’s vineyard, but each had a different emphasis and disposition. In my observation, Neil is a lot like Peter. His major focus seems to going out to the sea, casting the net, and bringing the fish on dry land and encouraging God's people to do the same. Some have described my on-the-ground ministry to be more like Paul’s – the building of the tent – the constructive work of building the house of God to fulfill the eternal purpose "from eternity to here." By contrast, my writing ministry in books like Pagan Christianity and Jesus Manifesto are very much along the lines of John’s ministry of repairing the torn net. Whether that’s accurate or not, here’s my point. The ministries of Peter, Paul, and John are not to compete with one another. Instead, they are to complement one another. The body of Christ needs the ministries of Peter, Paul, and John. And each person needs the other. That's how the terrain looks from my hill, anyway. Neil: From my reading, I assume that Frank and I are pretty close to seeing church as a body connected to the Head. Jesus is the main thing for both of us and we both emphasize that in our teaching. If there is a difference I believe that Frank exalts the purpose of the church and I tend to emphasize the purpose of disciple-making. Not that we don’t both teach both, but we do have our own priorities. These could be simply different focus rather than a difference of opinion. How organic church starts and multiplies is probably different in our minds. George Bernard Shaw once quipped, "One out of one people die, that's a startling statistic!" Sobering, to the point, and real. I remember hearing a radio spot while driving that was advertising for a funeral home. A deep, trusting voice said, "If you should ever die..." I remember swerving as I laughed and said, "If?!" There's no "if" we all die sometime. It is appointed for every man to die. This Organic Church movement is so young, yet already we have lost several pioneering leaders. It seems like only a couple years ago that we were just a handful of friends sitting around a fire chatting about what could be, and now some of the faces are noticeably absent. The first Greenhouse training Paul Kaak and I ever did together was in 2000 in Oxnard, CA. We had about 25 of our own leaders there, two of those leaders have gone home already: Brian Ollman and Mark Palmer. I miss them. Brian was a spark of creativity in our movement that always stretched us to think outside of the box. He was always coming up with a new creative idea. He was a magnet for young creative people that were looking for a place to unpack their art. We are coming on the one year anniversary of his home going. Palmer (he preferred to be called by his last name) had a real heart for reaching young people that were not connecting with the conventional church. For that reason he called his church the Landing Place, it was a place where people could come and connect with God, one another and a mission. 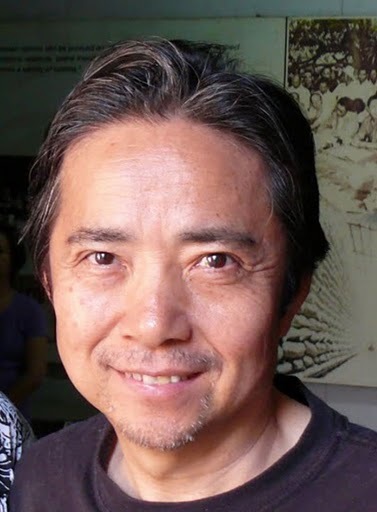 Yoshito Ishihara was one of the cutting edge leaders of organic expressions of church in Japan and he recently went home to be with our Lord after battling cancer. Josie seemed to laugh so easily and so infectiously. The church he led is unusual in Japan, it is full of freedom, joy and is very expressive of that joy. It is also larger and younger than most. This is a legacy of Josie. He was a father to many. I miss him too. We actually teach that death is a part of life, so we shouldn't be shocked when it happens, but some how we still are. There are others that have passed on (3 people from my own church in the last ten years). There will be even more. I remember C.S.Lewis speaking about the casualties of WWII and remarked that there were not more deaths in that generation than any other...because the death rate for every generation is the same--100%. Nevertheless, death is always too soon for those you love. We do not mourn as those who have no hope. We have a very real hope and confidence in a great reunion. We already miss our friends, but the seeds they planted are already bearing fruit. We are grateful for their lives, and I for one, hope to live better for having known each of them. I think that each one of these friends would challenge us to live our lives each day as if it were your last. Live well every day friend. I just completed a book (to be released March of 2011) that follows the life of a leader who finishes well. Finishing well is not something we do at the end of our life, it is what we do every day of our life. Live so that you will finish well, or die trying. I often ask myself what would be left behind if I died today. Being prepared for death seems rather morbid, but it is actually a very wise thing to do (Ecc. 7:1-2). Are you living your life so that the end is better than the beginning? Will others prosper because of the investment of your life? What will remain after you go? Are you ready to meet God? What will it take to be prepared so that when you go others carry on the work? I'm not talking about life insurance, a funeral plot and a will, I'm talking about the seed of your own spiritual life bearing lasting fruit for eternity. I have seen fruit from these men that will bear more fruit. I have loved each one and look forward to seeing them again. None of them were perfect, but Jesus' love for them was perfect, and it still is. That love of Jesus was the best part of their lives and it is that love that will bear fruit in all our lives. 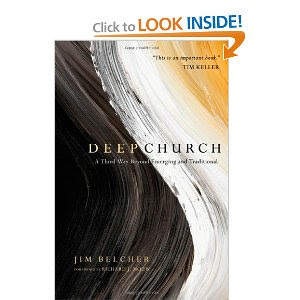 I have read Deep Church by Jim Belcher, twice—once in pieces and once from start to finish. The reason for this is that I immediately found chapters so intriguing I read them first, isolated from the rest of the book. I was actually shocked by some of the chapters conclusions, so I felt to fully understand the book I needed to start at the beginning and read it all the way through before I could really form an opinion of the book, so I did. It turns out that this exercise helped me to understand what Belcher was saying, and yet I found that my initial concerns were confirmed. What got my attention was his bold embrace of tradition to define church as deeper. While many of us are trying to break from tradition, Belcher espouses that we need to get back to it in order to find a peaceful way to get along. But his idea of tradition is quite specific (or is it? more later on this). The title of the book comes from a phrase C.S. Lewis coined in his book Mere Christianity. It is a Christianity that holds to the Great Traditions of the original creeds—The Apostles Creed, The Nicene Creed and The Athanasian Creed to be specific and this is what Lewis calls “Deep Church.” Honestly, after reading the entire book I still think that the title comes off as sounding arrogant even after all the explanation, as if those who do church this way are truly in the deep end of the pool while the rest struggle in the shallows. I must say, though, that Belcher himself does not come across as arrogant, for the most part. First, I want to share some of the things I liked and then in my next post I will share a couple of things that I didn’t. In an attempt to find a third way rather than be in either the emerging church camp or the traditional church side, Belcher takes a kind, respective and honest look at both sides. This is one of the things I greatly appreciate about the book and is quite frankly rare. In these days full of people shouting across the aisle at one another without ever really hearing what is being said this is refreshing. Belcher not only listens, but he is fairly articulate at espousing what each is saying before he offers his “deeper” alternative. He would actually make a good marriage counselor. In each chapter he begins with writing about what the emerging church is protesting over the traditional church, then covers how the traditional church counters before he finally settles the issue with his own alternative, which he refers to as Deep Church. He looks at truth, evangelism, the gospel, worship, preaching, ecclesiology and culture in this way. When it comes to understanding the emerging church, he uses Ed Stetzer’s categories of Relevants, Reconstructionists and Revisionists. Relevants are those who are not changing how church is formed or structured and definitely not changing the doctrinal stance but merely working to make the church relevant to the postmodern world. Mark Drischoll and Dan Kimbal are offered as leaders of this type of church. Reconstructionists are questioning the old systems and structures of church but not the doctrines as much and Alan Hirsch, Mike Frost and Myself are offered as the type of leaders found in this camp. Revisionists are questioning our epistemology—how we understand and believe what is true/real. Brian McLaren and Doug Pagitt are cited as leaders among this group. Belcher also uses Hirsch’s and Frost’s idea of “bounded-set” verses “centered-set” to help forge a way of peacefully working together. A bounded-set is where those who are in and who are out are clearly defined by a well-established list of beliefs and practices. Only those who subscribe to the boundaries are allowed into the camp, everyone else remains outside. 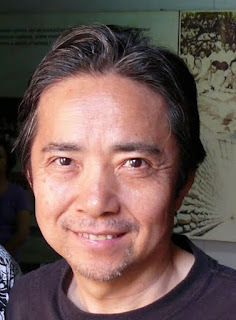 He thinks it is far healthier (and I agree) that we function in a centered-set manner where there is no in or out but we simply stay in close proximity to a central set of doctrines—core beliefs that we can all agree on—and allow open hands and discussions on the views that are not part of this core set. With this in mind, he offers a two-tier view of doctrines, the essentials and the nonessentials, as a means to be centered and get along. We (CMA) have done this consistently within our own movement defining the core doctrines as “bullet doctrines”—those that we would rather take a bullet for than renounce. The non-bullet doctrines are those that we believe but will not take a bullet for (or shoot anyone over). With this in mind, we want unity in the essentials (bullets), liberty in the non-essentials (non-bullets) and love in everything (even for those who would pull the trigger). I find it interesting, and perhaps slightly inconsistent, that he suggests a centered-set approach but clearly defines the boundaries of the emerging church, dividing the whole thing into three camps with people that are in each one. Nevertheless, I can understand that he needed to make the book coherent to the reader and there is much confusion over what is emerging, what is emergent and who is doing what. So overall, this is helpful and makes the conversation more reasonable. I found myself liking Belcher as I read, even though I often disagreed with his final suggestions. He is definitely likable and thoughtful. He has done his homework and I can tell he is a real thinker who enjoys learning. He actually comes across child-like in the way he enjoys discovery. His child-likeness is also evident in the somewhat naive way he believes that he will find a viable third way that will bring us all together to sing Kumbaya around the campfire of the Great Tradition. I can’t help but love the guy because he is so endearing in this child-like enthusiasm, idealism and optimism. I am confident that I would enjoy his company and we would have some great discussions around that campfire even if we do not agree on some of the non-essentials, so maybe he is not as naive as I first thought. Another thing I liked about the book was Belcher’s honesty. He not only fairly treated both sides, but he was bold in his own embrace of tradition in order to maintain his church view, in spite of the fact that it is not always clearly taught in the Scriptures. Let me explain what I mean by this. In Christendom it is common for people on all sides to claim that their view is the “biblical view,” thus informing everyone that disagrees that they are not biblical. We even put scripture verses in parenthesis next to our comments to make sure everyone knows we are Biblical. Belcher is too smart to buy or sell this. In order for him to hold to a traditional view of what church is, and yet honestly deal with the arguments from the emerging side, he has brazenly chosen to appeal to tradition for his authority. In other words he doesn’t defend tradition against the attacks, instead he dives “deeper” into it by appealing to the more ancient traditions for the authority that the Bible does not provide for his church practices. Honest, yet dangerous. People think that my approach (non-hierarchical, non-controlling leadership) has dangerous implications should carefully evaluate what Belcher is appealing to for authority in his ecclesiology. Belcher is unapologetically reformed. He is one of the many Neo-Reformed leaders that are increasing in the US. There are some great doctrines in the reformed tradition. Many of my closest brothers and coworkers are reformed, and my own denomination (Grace Brethren) has a strong and growing reformed influence over it. The reformed church however is full of structures, systems and ideas that are solid and inflexible practices, treated as doctrine but not really found in the Bible. In order to be truly reformed and also be honest, one has to deal with the many practices that are not found prescribed in the Scriptures. Okay, I will let you reformers fume a second and then I’ll give you a few examples. Are you ready yet? Whew, okay. The clergy and laity separation is a good first example. Lets stay with that one for a bit. Granted, the reformation brought the “priesthood of believers” back to the doctrinal round table, the practice established in the reformed church tradition has yet to actually release this important doctrine. Now, as I walk down this theological aisle you will see how more and more of what is dogma in the reformed church comes from tradition rather than Scripture. Watch: Ordination of pastoral leaders and presbytery is a very core doctrine in the reformed tradition and is hard to find in Scripture without some heavy handed manipulation. To say you cannot be ordained as a pastor without at least a Masters of Divinity degree from a specific reformed seminary is not a biblical idea, it comes from tradition, nevertheless it is carved in stone for most reformed denominations. The idea that only ordained pastors can perform baptism or communion is found nowhere in the bible, it is a tradition that has been well established and passed on as doctrine. Am I right? Is this making sense now? Be honest. Within the reformed tradition, church offices are established doctrine, though the idea of “offices,” in my opinion, must be imported into the Bible to make it stand upright. Elders and deacons and the fivefold gifts of Eph 4:11 are all found in the NT but to call them “offices” forces upon the biblical text ideas that are foreign to the inspired scriptures. If I were to ask for Biblical support for "offices" rather than functional roles, Van Til, Owen, Edwards and even Calvin himself would have a hard time doing so. Belcher is an honest reformed theologian, so it is not a surprise that he appeals to what he calls the Great Tradition for authority for church practices and polity, which the New Testament does not provide. In my next post I will look at a few of the more troubling concepts in the book.